Chelsea had a fantastic campaign in 2014-2015. They finished top of the table in the Barclay’s Premier League, and winners of the Capital One Cup. There is no doubting that Jose Mourinho’s men have improved from his first season in charge. But what they accomplished last season is so much more than just two trophies. They essentially fired a warning shot to the rest of England and Europe as a whole. Chelsea appear to be building a dynasty. They are talented, but more importantly, young. The Blues are being built to dominate, but also built to last. The core of the team are all on the right side of 30 and are set up to dominate English football for years to come. The Blues are also aspiring to becoming one of Europe’s elite. However, if they want to be considered a top European club, they have to start acquiring major talent every offseason. Last season, Real Madrid won the Champions League. They responded the following summer by signing Toni Kroos, and James Rodriguez. That’s what it takes to be considered a world power. It’s not how you win your first, but how you defend your title. This is the stage Chelsea are in. Additionally, they are looking to be more competitive on all fronts. Realistically, Chelsea should challenge for a Champions League title next season, along with retaining their Premier League title. But if the Blues are to accomplish these goals, they must continue to add top talent every offseason. Every transfer window represents an opportunity for them to improve. And they did so well last summer, why not continue this summer? However, this cannot be a hasty process, just ask several other BPL teams that have got it wrong in the past few years. Manchester City didn’t add the right players after their second Premier League title in three years, and they were worse off. Chelsea must look to avoid these mistakes as they approach their title defense. That’s why I’m pleased to see some of the latest links. Chelsea are reportedly pursuing the likes of Antoine Griezmann, Paul Pogba, Arda Turan, John Stones, and perhaps Raheem Sterling. While there is no way the Blues will land all of these players, likely 2-3 at most, it is talent like this that will help Mourinho and company reach the next level. Their ability to both defend their title, and challenge for continental supremacy relies on their depth, not just in numbers but in quality. World class players like these are exactly what is needed at Stamford Bridge. Another reason for additions of this magnitude can be traced back to last year’s campaign. While the Blues were relatively clinical up top, there was a lack of creativity towards the end of the season. 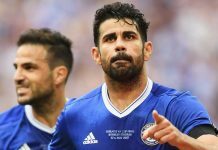 While the likes of Fabregas and Costa are undoubtedly effective, they can’t be solely relied on, especially given Costa’s injury record. Furthermore, while we’ve seen Hazard shine, we’ve also seen him be completely marked out of games, leaving him relatively incapable of contributing (i.e. Against PSG). Therefore, with Willian remaining a workhorse rather than a playmaker, and Oscar struggling for consistency, Chelsea are left without a creative engine in their side. While it remains to be seen whether young academy star Loftus-Cheek will add anything to the side, it is more than risky to rely on a 19-year-old to be the attacking catalyst this season. With all of this considered, Chelsea must enter the transfer market in search of their next star. So out of all the names mentioned, who should Chelsea pursue the hardest. In my personal opinion, Chelsea should look to stay out of the Sterling controversy. While brimming of potential, I don’t think the young Englishman will make enough of a difference in the Blues side next season for his reported transfer fees. However, I feel that Arda Turan provides Chelsea with a better suited option. The Turkish international comes well-equipped to be in a Mourinho style team. While known for his ability to contribute to attack, the 28-year-old is widely recognized for his ability to track back and make an impact on the defensive side of the ball, a skill that Mourinho requires of his wingers. Therefore with this in mind, I’d much rather the Blues pursue Turan. Furthermore, Griezmann would also represent a strong option for Mourinho, given his ability to quickly change the context of a match. The young Frenchman is incisive, creative and all-around talented. He’s also versatile with the ability to play in the no. 10 role, on the wing, or even as a suito-striker in a sense. Not many players are gifted with such ability and couple it with such versatility. Griezmann would enter the picture at Stamford Bridge as another option at several positions, and would quickly provide the attacking impetus for the West Londoners. What makes him so special is his blistering pace, coupled with his precise play. The concept of having the Frenchman in the Chelsea team is mouthwatering. I also feel that Griezmann would bring the best out of Oscar, who would no longer be able to let his game drop off without fear of being replaced. The Brazilian, while brimming of potential, also suffers from a lack of motivation. With Griezmann on the roster, he wouldn’t be able to be as comfortable, and Chelsea would be all the better for it. Having two deadly no. 10s in a side is not only a threatening concept, but necessary for Chelsea to compete in all the competitions that they embark on next campaign. Personally, I’d love to see the a Blues sign Paul Pogba, but in an effort to be realistic, I doubt Chelsea will persuade the Frenchman to Stamford Bridge. Therefore, moving onto John Stones. The young Englishman is widely considered a top prospect, not only for Everton but for the three lions of England. What makes him so special, and Chelsea captain John Terry pointed this out in an interview, is his willingness to be involved in possession. However, looking past his maturity and creative ability, Stones has the potential to be a rock in Chelsea’s back four for years to come, offering Kurt Zouma a long term partner. And the best part is that he is British, and can take up a homegrown player roster spot, rather than an international one. Players of Stones’s potential don’t come around often, and Chelsea should swoop sooner rather than later. This would also end the search for a John Terry replacement as they would now have 2 in Kurt Zouma and John Stones. Overall, a move for the Englishman makes sense, and doing so sooner rather than later will ensure that Chelsea get his signature and attempt to keep the transfer fee on the smaller side as well. Overall, Jose Mourinho’s summer work has barely begun. He has never been the type of manager to rest on his coat tails, and let the transfer market dictate itself. The Portuguese tactician has always been on the edge of his chair, making moves, scouting players, and personally following through on deals. This is a summer that will require the same dedication from Chelsea’s manager, and I have no doubt that he will answer the call of duty. With Mourinho at the helm, we can rest assured that the Blues will remain a force in the transfer market. If the right moves are made this summer, it will be interesting to see how many trophies will find a new home in West London next season. Follow Tyler Strauss on Twitter for more.